The 9th September, 2015 will see Her Majesty Queen Elizabeth II become the longest reigning Monarch in British history, the previous holder was her great great grandmother Queen Victoria. 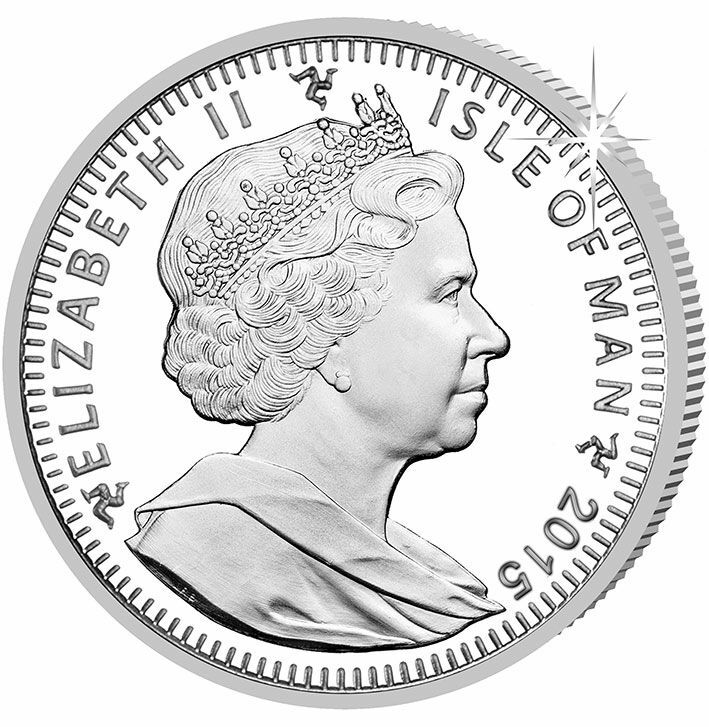 Struck by Pobjoy Mint on behalf of the I.O.M. Government. 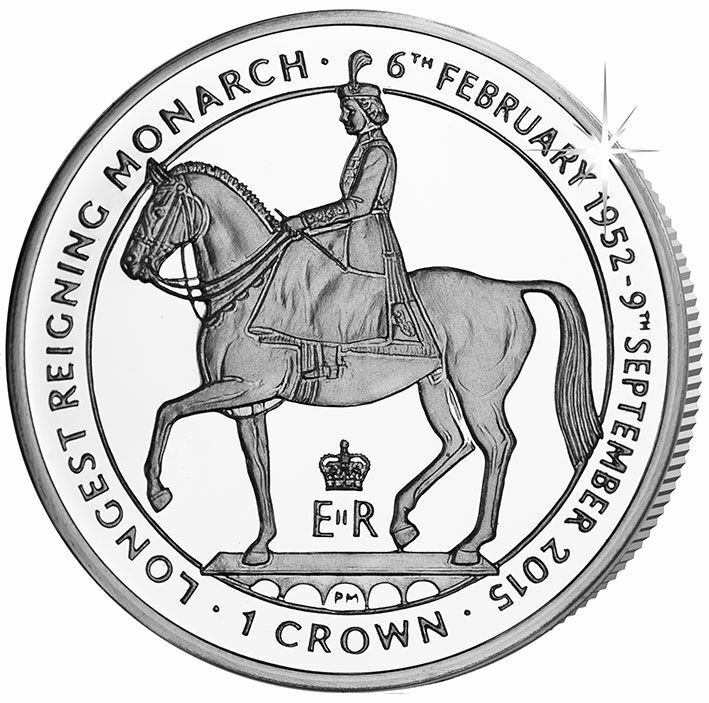 The reverse features an image of Her Majesty on Horseback, taken from Her Majestyâs original Great Seal of the Realm. This seal is used to symbolise the Sovereignâs approval of important state documents, each new Monarch has their own great seal and is only replaced if the silver plate wears out. Cupro nickel, 38 mm and uncirculated.